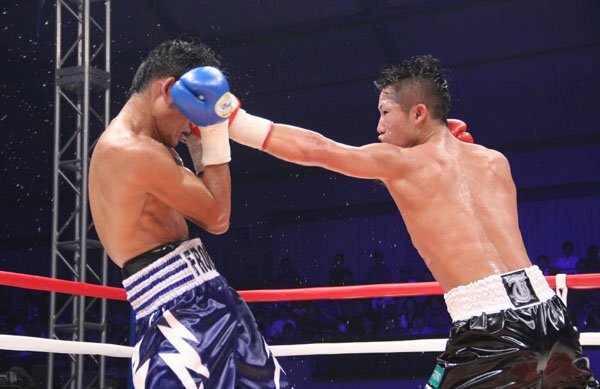 Watch the full fight video of Takuma Inoue vs the Filipino boxer Froilan Saludar. Fight happened at Sky Arena, Zama, Kanagawa, Japan on September 4, 2016. The Fight was a very entertaining bout. Froilan Saludar scores a knockdown in the very 1st round of the fight but Takuma Inoue comes back and scores also a knockdown in round 8th and 9th. The fight ended via Unanimous Decision Victory of the Japanese boxer. Two Judges scores 90-97 and one judge scores 91-96 all in Favor of the undefeated boxer Takuma Inoue.